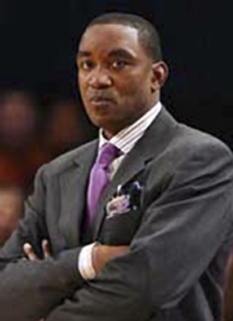 American basketball great, Isiah Thomas was born April 30, 1961 in Chicago, Illinois. Thomas played high school basketball at St. Joseph High School in Westchester, Illinois. He played for Bob Knight's Hoosiers at Indiana University. In 1981, Thomas led the Hoosiers to the NCAA Tournament National Championship and earned the tournament's Most Outstanding Player award. After accomplishing this in his sophomore season, Isiah Thomas made himself eligible for the NBA Draft. In the 1981 NBA Draft, the Detroit Pistons chose Thomas and signed him to a four-year $1.6 million contract. Thomas made the All-Rookie team and started for the Eastern Conference in the 1982 All-Star Game. Isiah Thomas played point guard for the Detroit Pistons from 1981 until 1994. 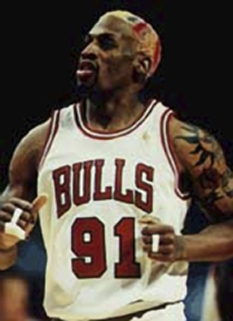 He led the "Bad-Boys" to the NBA Championship in the 1988-1989 and 1989-1990 seasons. 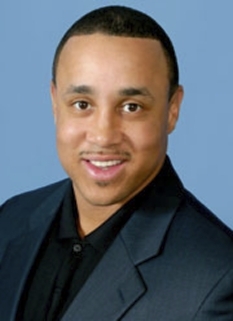 After his playing career, he was an executive with the Toronto Raptors, a television commentator, an executive with the Continental Basketball Association, head coach of the Indiana Pacers, and an executive and head coach for the New York Knicks. During the NBA's 50th anniversary, he was named one of the 50 Greatest Players in NBA History. In the opening round of the 1984 NBA Playoffs, Isiah Thomas and the Pistons faced off against Bernard King and the New York Knicks. In the pivotal fifth game, Thomas was having a subpar performance, while Bernard King was having an excellent game. However, in the fourth quarter, Thomas scored 16 points in one minute and 33 seconds to force the game into overtime. King and the Knicks, however, held on to win in overtime. 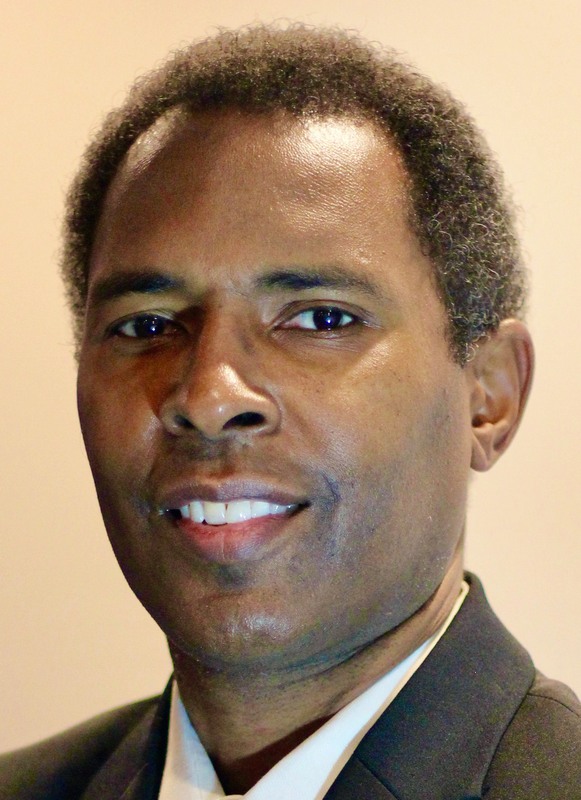 In the 1985 NBA Playoffs, Thomas and his team went to the conference semi-finals against the 15-time NBA champion Boston Celtics led by Larry Bird, Kevin McHale, Robert Parish, and Dennis Johnson. Detroit couldn't shake the Celtics in their six-game series, eventually losing. In the 1987 NBA Playoffs, Thomas and the Pistons went to the Eastern Conference Finals and faced the Boston Celtics. It was the farthest the team had advanced since moving from Fort Wayne when they were the Zollner-Pistons. The Pistons were able to tie the Celtics at two games apiece. Detroit's hope of winning Game 5 was dashed at the Boston Garden with seconds remaining in a play by Larry Bird: Thomas attempted to quickly inbound the ball, Larry Bird stole the inbound pass and passed it to Dennis Johnson for the game-winning layup. 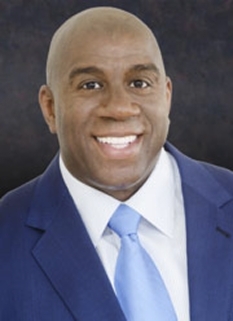 In 1988 the Pistons' first trip to the Finals saw them face the Los Angeles Lakers, who were led by Magic Johnson, James Worthy, and Kareem Abdul-Jabbar. Prior to the series, Thomas and Johnson would exchange a courtside kiss on the cheek prior to tip-off as a sign of their deep friendship. After taking a 3-2 series lead back to Los Angeles, Detroit appeared poised to win their first NBA title in Game 6. One of Thomas' most inspiring and self-defining moments came in Game 6. Although he had fractured his ankle late in the game, Thomas continued to play. While hobbling and in obvious pain, Isiah scored 25 points in a single quarter of the contest, an NBA finals record. However, the Lakers won the game 103-102 on a pair of last-minute free throws by Kareem Abdul-Jabbar following a foul called on Bill Laimbeer. With Isiah Thomas unable to compete at full strength the Lakers were able to take advantage and narrowly clinched their second consecutive title in Game 7, 108-105. In the 1988-89 season, Thomas, along with fellow teammates Adrian Dantley, Joe Dumars, Rick Mahorn, Vinnie Johnson, Dennis Rodman, James Edwards, John Salley, Bill Laimbeer, and Mark Aguirre, guided his team to a then-franchise record 63-19 record. Detroit played a brash and dominating brand of basketball through the playoffs. With Boston's injuries persisting, the Pistons defeated Michael Jordan and the up and coming Chicago Bulls in the Conference Finals, to set up an NBA Finals rematch with the Lakers. Thomas and the Pistons then won their first of back-to-back championships when they defeated the Lakers in a 4-game sweep. The following year, Thomas was voted NBA Finals Most Valuable Player of the 1990 NBA Finals after averaging 27.6 points per game, 7.0 assists per game, and 5.2 rebounds per game in the series with Clyde Drexler's Portland Trail Blazers. An aging and ailing Thomas tore his Achilles' tendon in April 1994 and decided to end his career as a player the following month in May. Thomas, a 6-1, 185-pound point guard, ranks as one of the best players of all-time. His toughness and competitive fire won many admirers as well as adversaries over the years. He was named to the All-NBA First team three times and is the Pistons' all-time leader in points, steals, games played and assists. Thomas ranks fourth in NBA history in assists (9,061, 9.3 apg) and ranks ninth in NBA history in steals (1,861). Thomas was known for his dribbling ability as well as his uncanny ability to drive to the basket and score. His number 11 was retired by the Detroit Pistons. After retiring Thomas became part owner and Executive Vice President for the expansion Toronto Raptors in 1994. 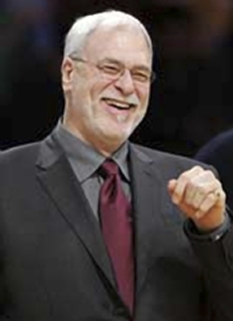 In 1998, he left the organization after a dispute with new management. During his four-year tenure with the team, the Raptors drafted Damon Stoudamire, Marcus Camby and high-schooler Tracy McGrady. 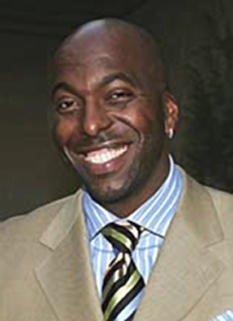 After leaving the Raptors, Thomas became a television commentator (first as the lead game analyst with play-by-play man Bob Costas and then as part of the studio team) for NBA on NBC. Thomas also worked a three-man booth with Costas and Doug Collins. 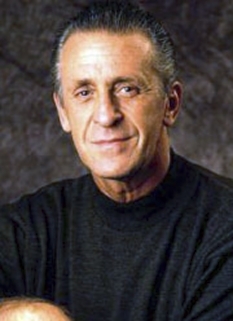 Thomas became the owner of the Continental Basketball Association (CBA) from 1998 to 2000. After his purchase of the CBA for $5 million, the league was forced into bankruptcy and folded, after Thomas rejected an offer from the NBA for $11 million to make it an official minor league of the NBA. Many CBA managers blamed Thomas for the league's failure, citing mismanagement and out-of-control spending on his part. 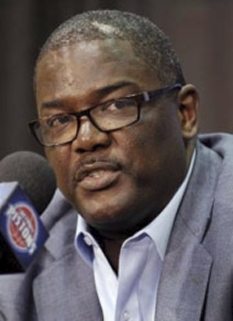 Many such managers publicly declared that Thomas ran the league into the ground, possibly on purpose to eliminate the non-NBA-owned minor league in order to make room for the NBA-owned NBDL. DISCLAIMER: PFP Sports Talent Agency does not claim to represent itself as the exclusive agent for Isiah Thomas. PFP Sports Talent Agency is a booking agency that represents organizations seeking to hire pro athletes and sports personalities such as Isiah Thomas for speaking engagements, personal appearances, product endorsements and corporate entertainment. Fees on this website are estimates and are intended only as a guideline. Exact fees are determined by a number of factors, including the location of event, the talent’s schedule, requested duties and supply and demand. PFP Sports Talent Agency makes no guarantees to the accuracy of information found on this website and does not warrant that any information or representations contained on this website will be accurate or free from errors. We are often asked how can I find out who is Isiah Thomas's agent? To find Isiah Thomas appearance fees and booking agent details, you can contact the agent, representative or manager through PFP Sports Talent Agency for speaking fee costs and availability. PFP Sports Talent Agency can help your company choose the ideal sports personality for your next marketing campaign. To hire Isiah Thomas for an appearance, speaking event or endorsement, contact Isiah Thomas's booking agent for more information.